1 tsp Vanilla Essence or the seeds from 1 vanilla pod. Add the remaining wet ingredients to this bowl and whisk to combine. Add the wet ingredients to the bowl of dry ingredients and whisk until mixture forms a smooth batter. Place a frying pan on medium to high heat. For each pancake you will need 2 tbsp olive oil. Add the olive oil to the pan. Holding the handle, swirl the oil to coat the surface of the pan. Continue to cook for approximately 1 minute. 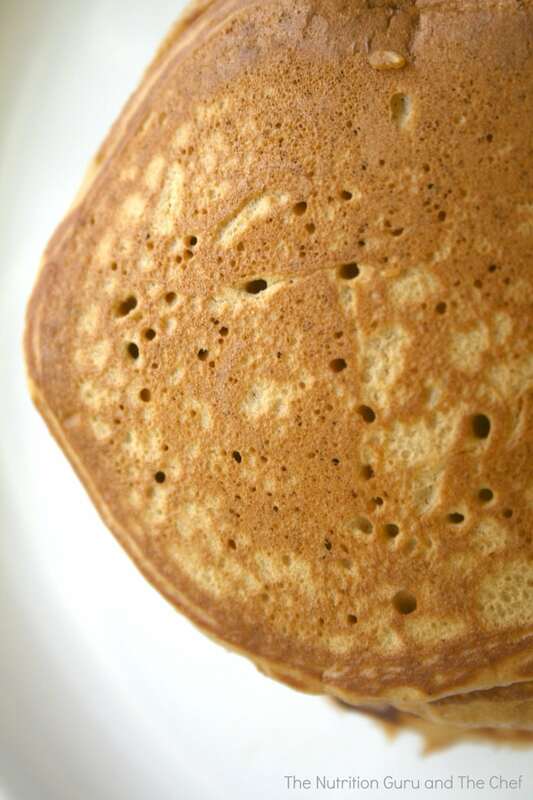 To check whether the pancake is ready, carefull poke a skewer or tip of knife into the centre of a pancake. Pancake is done if it comes out clean. 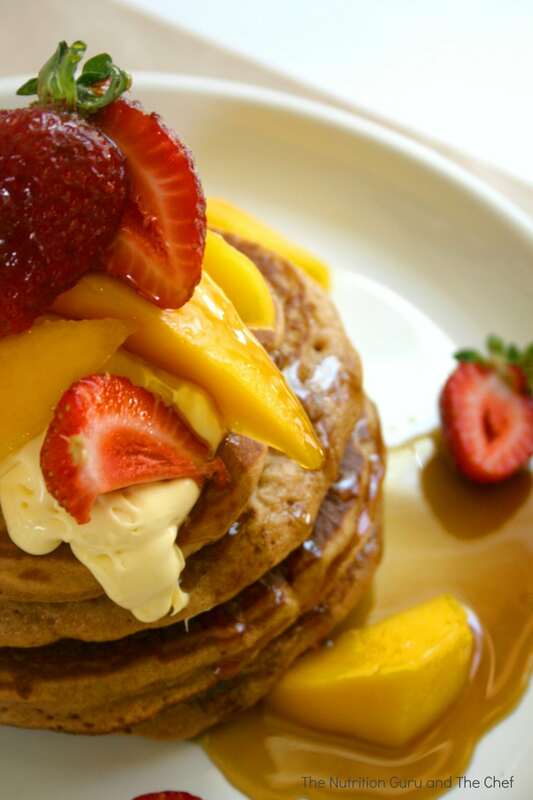 To serve, pile high and drizzle with maple syrup, bananas, berries and a dollop of delicious Maleny Dairies cream. The Chef’s pancakes are my favourite. Light, fluffy, flavoursome. I’m surprised he’s shared his recipe with you actually. Consider yourself super lucky!